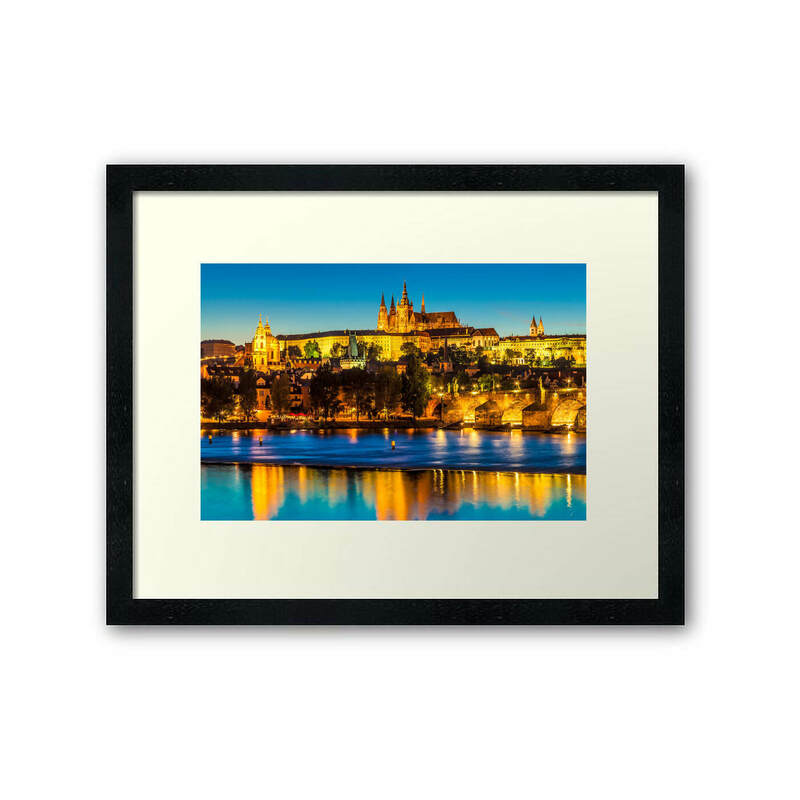 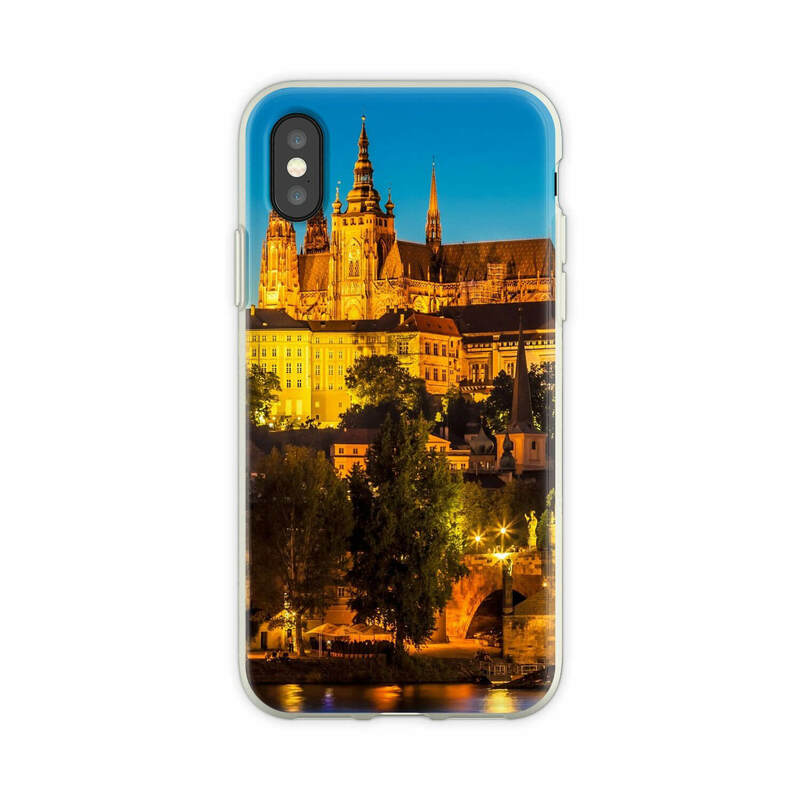 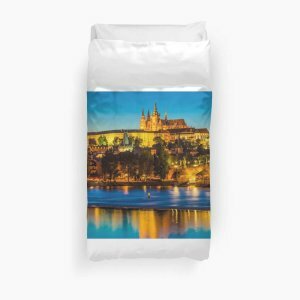 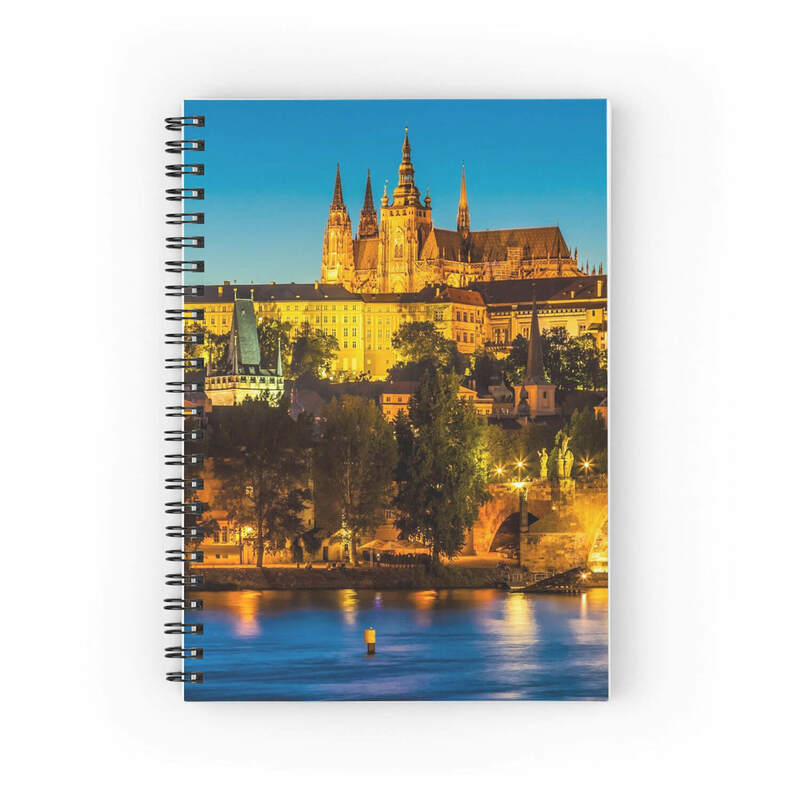 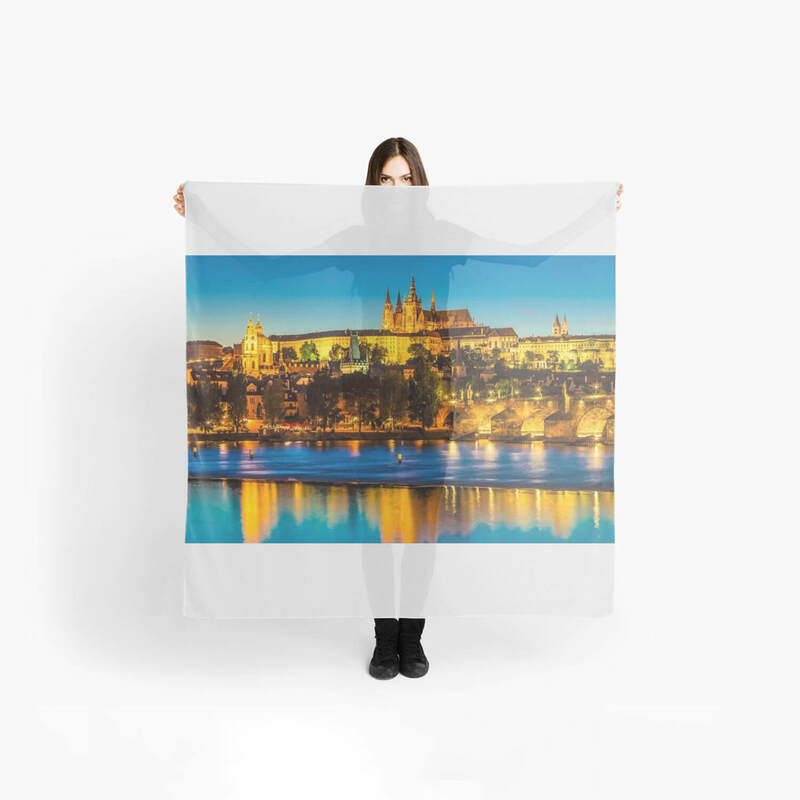 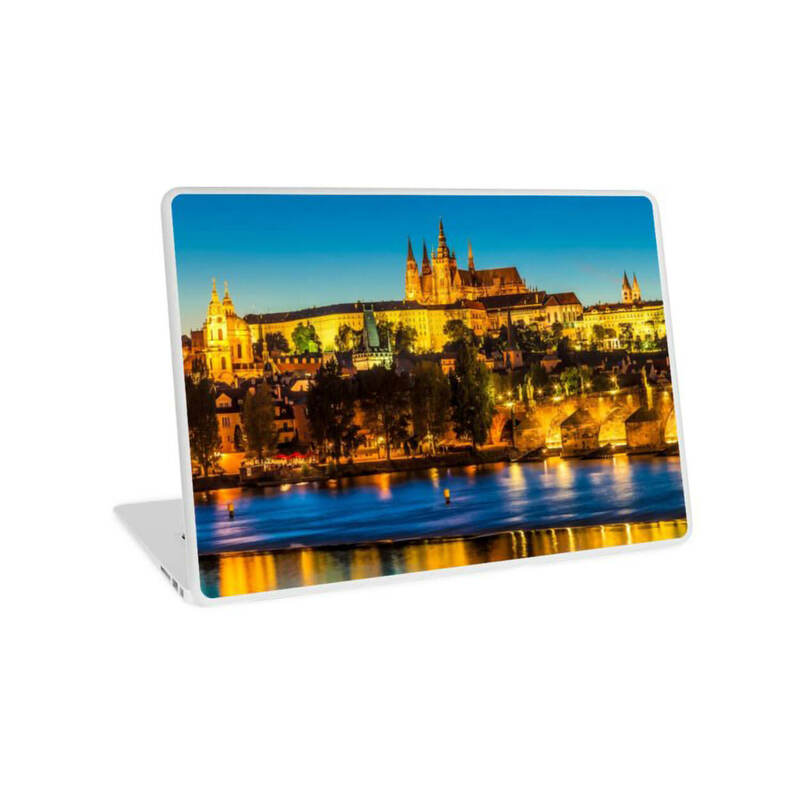 This photograph shows the Prague skyline with Prague Castle at the blue hour. 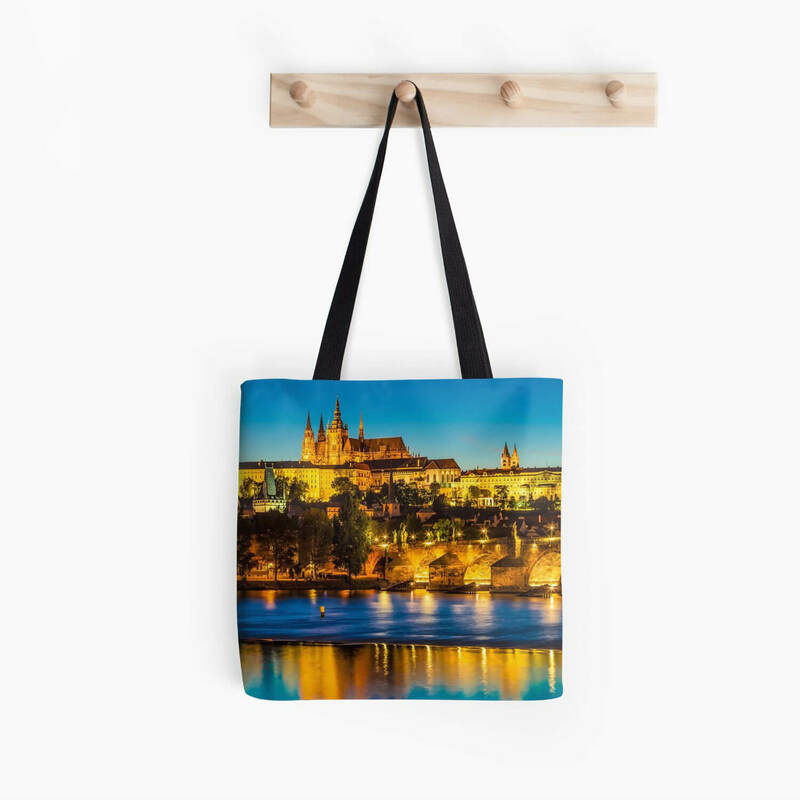 On the right, you can recognize a fragment of the famous Charles Bridge. In the foreground, the illuminated buildings are reflected in the waters of the Vltava River. 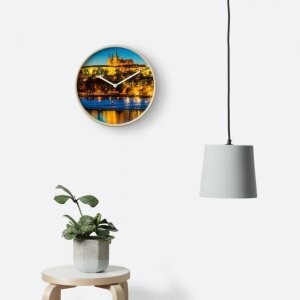 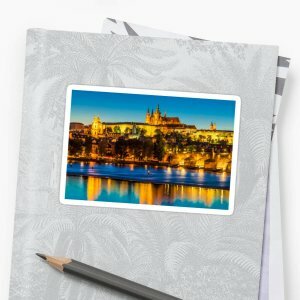 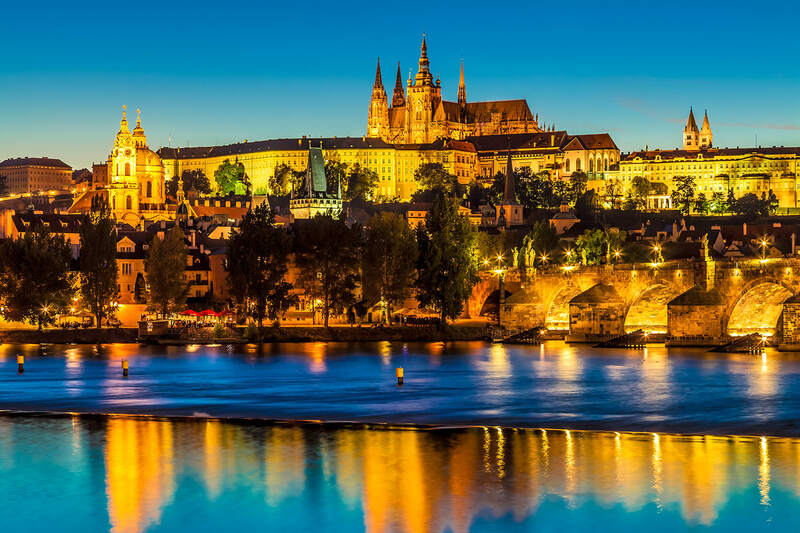 The Czech capital Prague is often called “the Golden City” and in the evening hours it certainly lives up to its nickname.